It’s hard to believe, but 2014 is almost over and 2015 is right around the corner. It’s been a great year here at The Story Solution, and we’d like to take the time to wish everyone a happy holiday season and a safe New Year. We’ve met with many great people this year, and we are pleased to see the growth that we’ve been able to have in such a short period of time. For those of you who are looking to develop a career as a screenplay writer in 2015, now is the perfect time to make a resolution to write according to a consistent schedule every week. Set up a “success ritual” and set aside a time or a day of the week to develop your screenplays. It’s the holidays, so there are going to be certain screenplays that are more appreciated than others. For example, the type of screenplay that you make for the holidays is going to be completely different than something you’d make for . When it comes to writing screenplays, you’ll need to create works that are outside of your comfort zone. Even if holiday-themed pieces aren’t your forte, creating a project that pushes what you are used to will help you become a more well rounded screenplay writer. Remember to let your characters tell the story and often times the best characters are those closest to you in your life. The people that are most important in your life all tell a story. They all have their own impact and influence on your life. From our family to yours, we’d like to wish you a happy holiday. Enjoy yourself and we’ll see you next year. 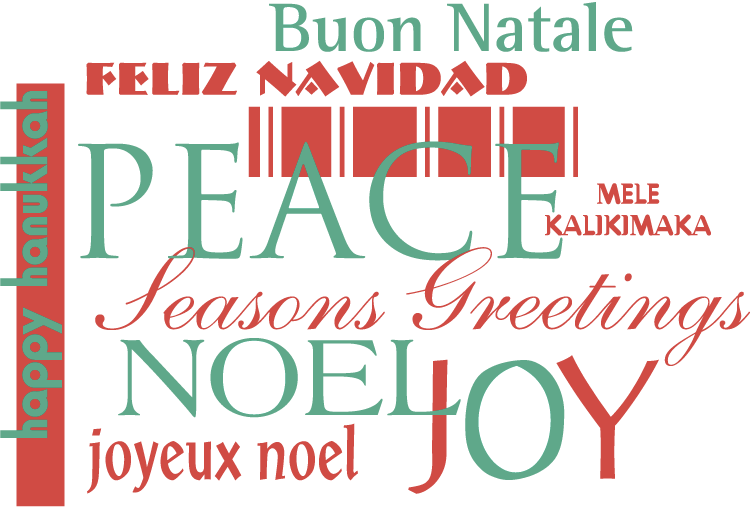 Have a safe and happy holiday season this year. Here’s to your success as a screenwriter! Q: How can screenwriting help me become a better writer? A: Learning to be a screenwriter will teach you many things other than how to develop a story. You’ll also learn how to be a better writer, as well as how to express yourself in more creative ways. By developing storylines and thinking through the plot, your writing will jump to a new level. Q: How detrimental can writer’s block be? A: If you are a screenwriter and you are stuck with your words, then you are going to be in a lot of trouble. That is why it’s important that you have all of the tools that you need to help you avoid writer’s block. This way you’ll be able to think more clearly and develop your ideas like never before. If you are looking to take your screenwriting skills to the next level, there are a variety of events in the Los Angeles area that can help you. Script Anatomy: TV Spec/Pilot Draft Intensive – Have you already written an outline? If so, this is the perfect workshop for you. In this class you will learn how to write your TV Spec or Pilot Draft. This class runs over 3 Sundays. The dates are January 11th, January 25th, and February 8th. Located at Be Great on Wilshire, the time for these classes is 11am – 2pm and the cost is $295. But you have to act fast as the class has a limit of 12 writers! Screenwriting 1/Create Your Own Hybrid – Peter Goldfinger’s class is back! This 4-week intensive class gives you the option of either pursuing a screenplay or creating your own. There is a limit of 4 – 6 writers for this class and it will take place in the comfort of Peter’s home, which is in the Studio City area. Classes will be every Friday for the following dates: January 23rd, January 30th, February 6th, and February 13th. The times for each class will be 10:30am – 1:30pm and the cost is $325. 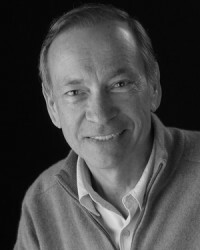 About the author: Eric Edson is a long-time member of the Writers Guild of America and the author of “The StorySolution”, a scriptwriting book which describes the process of creating a captivating screenplay. Based around the book, Eric created a website called The Story Solution that serves as a virtual repository of information for budding screenwriters. Having written over seventeen feature screenplays and collaborated with major Hollywood studios like Sony, 20th Century Fox, Warner Brothers, etc., Eric enjoys offering advice, screenwriting tips and creative screenwriting workshops for individuals looking to become successful screenwriters. About The Story Solution: Accomplished screenwriter and university professor Eric Edson reveals the 23 actions used in every successful movie to create dynamic, three dimensional heroes while linking together all parts of a captivating screenplay from first page to last. 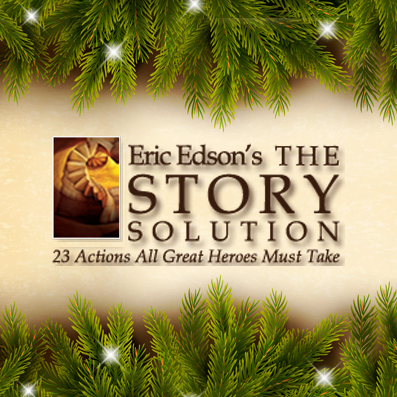 The Story Solution from Eric Edson is aimed at helping screenwriters enhance their creative abilities. A creative writers block can be damaging to any writer. But with The Story Solution, you’ll be able to avoid writers block and get the most out of your writing. To learn more, follow us on Twitter @storysolution, and like us on Facebook for a chance to win a signed copy of ‘The Story Solution. Pick up a copy at MWP.com or Amazon.com.